Summer Walker, the 22-year-old rising rhythm and blues star, made her presence felt in the new year as she released an emotional and powerful four-track extended play titled “CLEAR.” The EP comes in at a shockingly short 11 minutes with only four tracks. Following the success of her debut project “Last Day of Summer,” which featured songs such as “Girls Need Love” and “CPR,” Walker could be found on just about everyone’s up-and-coming artist list. She is currently signed to LVRN Records, also home to other Atlanta artists including 6lack and DRAM. Under the LVRN label, Walker debuted her EP on Jan. 28 and caused plenty of conversation across the industry. “CLEAR” is vastly personal and has heavy jazz influences that do not stray far from the usual makeup of a Summer Walker track. The intro track “Riot” currently sits at No. 23 on Billboard’s R&B Songs Chart, showing the momentum the young artist is building. It is a moving piece that follows a smooth guitar progression while Walker beautifully crafts a haunting melody. As the track builds, Walker showcases her vocal range, masterfully hitting falsetto notes that leave listeners with goosebumps. The track itself is rather simple, made up of not much more than vocals and guitar; however, the content of the track easily makes up for anything it may be lacking in production. Walker crafts a story of conflicting needs with a lover, repeating several times, “for my love, I need a riot, a riot,” in a longing tone that reflects a craving for something more. The track ends with a few lines repeating, “love’s too routine,” instilling a somber tone for the rest of the songs to follow. The next track, “Grave,” is much more upbeat and swingy, opening with beautiful synths and progressing into a powerful bassline layered with various percussion instruments. The track powerfully communicates the experience of being manipulated by men and how Walker will hold herself to a higher standard. She delivers several strong one-liners, such as “What do you get with a body without the soul?” that are complimented by her powerful delivery. Walker continues to showcase her ability to seamlessly hit the falsetto, and she displays her versatility with a quicker delivery, which works nicely over the bouncing bassline. The track is washed out for about 30 seconds with stirring vocal riffs that continue to amaze the listener. As the EP reaches the second half, the piece “Wasted” steals the show. Walker addresses the topic of being reliant on an individual who is not a positive influence for her. She repeats several times throughout the track, “Tell me what’s good for me but I don’t care,” showing how lost one can get in their own world of infatuation. She crafts the metaphor of alcohol addiction early in the piece claiming, “Obviously I’ve got a problem: I like the taste,” declaiming the toxic relationships she has found herself in. The track’s drums are played calmly over a few quiet synths, with a beautiful bass progression softly filling the space. Once again, Walker’s vocal performance is impressive, as she continues to maximize her vocal range and reach the falsetto notes. Throughout the EP, she sings with a sense of yearning that shines through in this song especially. 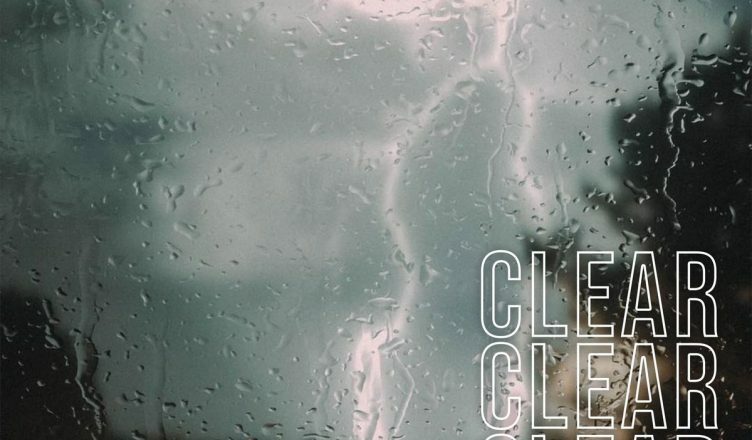 “CLEAR” quickly comes to its end with the track “Settling,” yet another one-worded title that matches the brevity of the EP. This track is bass-centric, following a smooth progression and soft drums with a keyboard scattered throughout. The simplicity allows the listener to once again settle into the content of the lyrics and Walker’s vocals. “Settling” best summarizes the internal conflict Walker seems to face throughout the EP, unapologetically putting her emotions on the line: “I can’t live with you, but I can’t live without you.” Despite another strong vocal performance by Walker, this track is highlighted by the inviting bass throughout, while the jazz influences are not hidden in the slightest. Throughout the whole project, Walker manages to communicate a variety of emotions and allows her audience to see the battles she deals with regarding manipulation, addiction, and fulfillment. The EP is what is to be expected from Walker: beautiful R&B with heavy jazz influences and strong vocal performances. With these strengths in mind, it leaves the audience wondering what more she can offer. The potential from the project is prominent, as one can see Walker developing into one of the biggest names in R&B in the manner of SZA and H.E.R. However, this project simply leaves the listener contemplating what could be with just a bit more length for the EP. The project is powerful, and Walker continues to produce tracks that perfectly fit her niche; however, she will inevitably expand her horizons with opportunities that present themselves with the recent success. Only one month into 2019, it is safe to expect much more from the 22-year-old songstress as the year goes on.